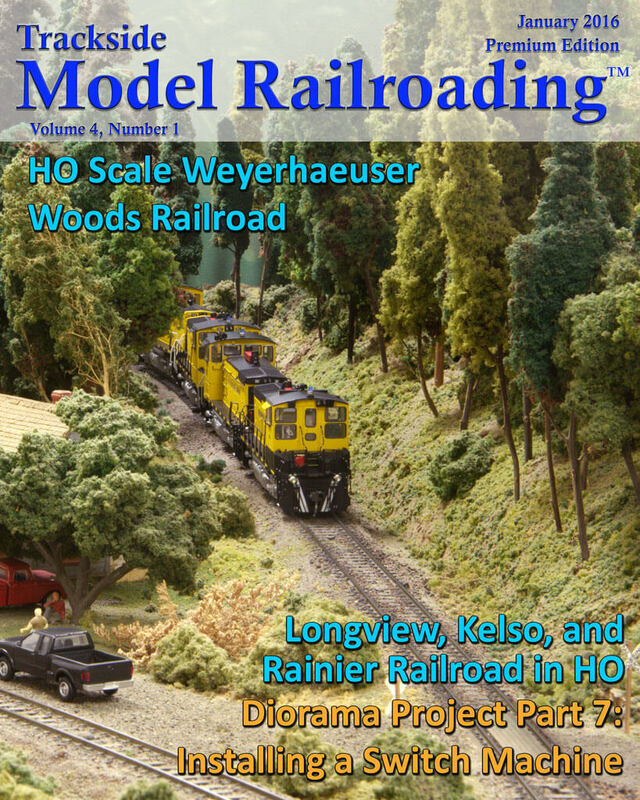 We share Dave Greenwood's Weyerhaeuser Woods Railroad this month. 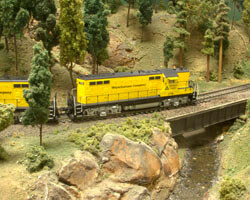 It is a freelanced, modern version of the WTCX in HO scale, modeled as if the railroad never sold to Patriot Rail Corp. Dave's layout also models the Union Pacific and the BNSF, which interchange with the Weyerhaeuser on the layout. He includes Kelso and Ostrander, Washington and part of the logging line up toward the landfill. 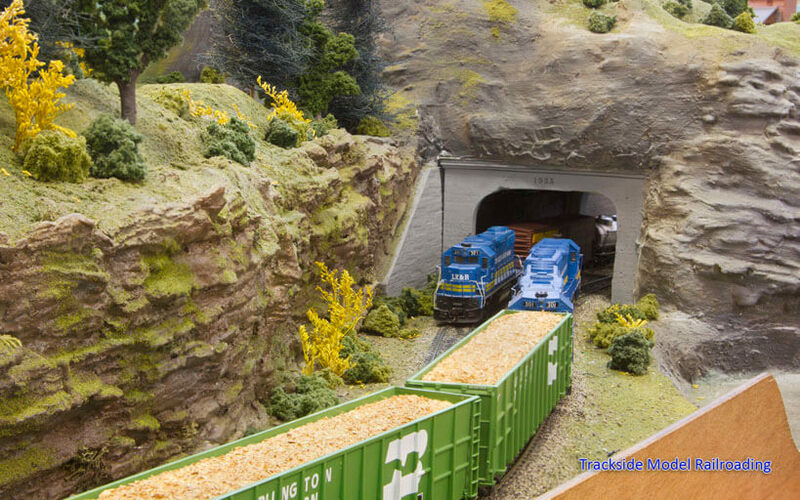 He has built a number of custom Weyerhaeuser locomotives which are carefully detailed and a pleasure to watch in action on the model railroad. 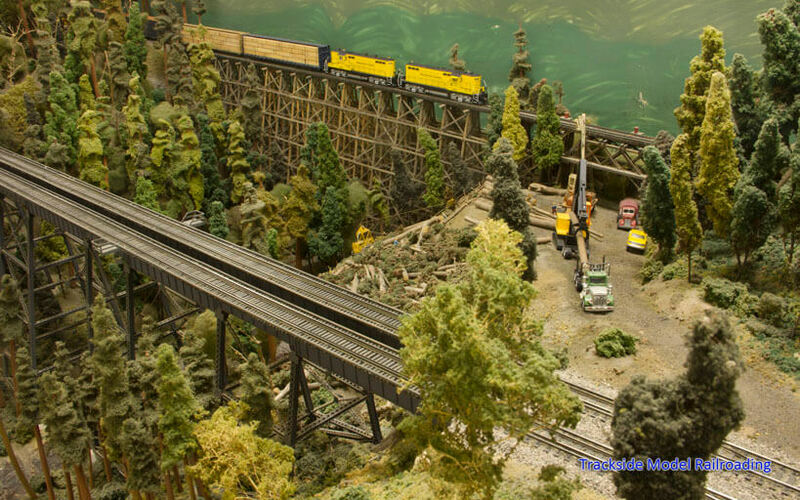 Visit the Longview, Kelso, and Rainier Model Railroad Club's HO scale freelanced pike. The LK&R is based in the late 1970s to early 1980s and is sectional so that the club can travel with it to train shows. 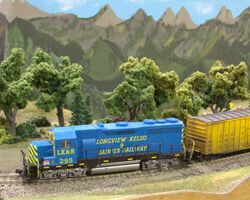 The LK&R hauls a variety of freight and is available for the public to visit in Kelso, Washington. 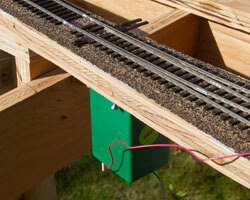 We walk you through installing a Tortoise switch machine on your diorama. This project is part of a series we started in July 2015, and is easy enough for newer modelers to accomplish.